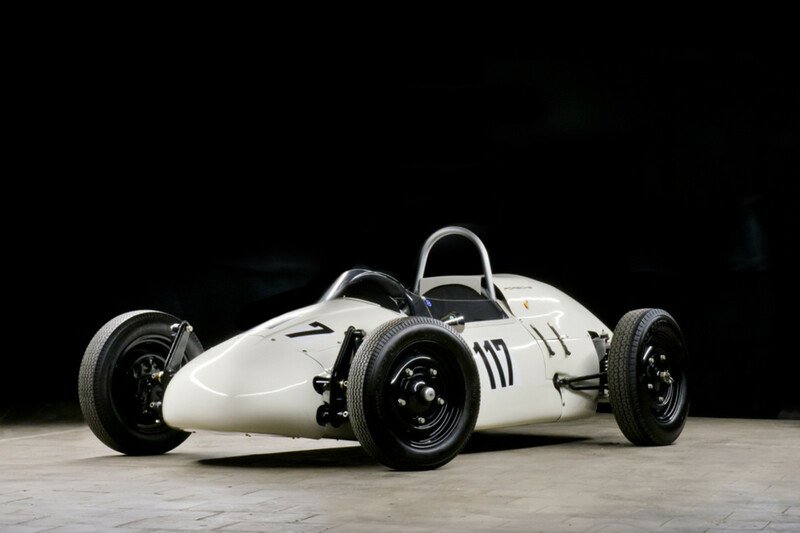 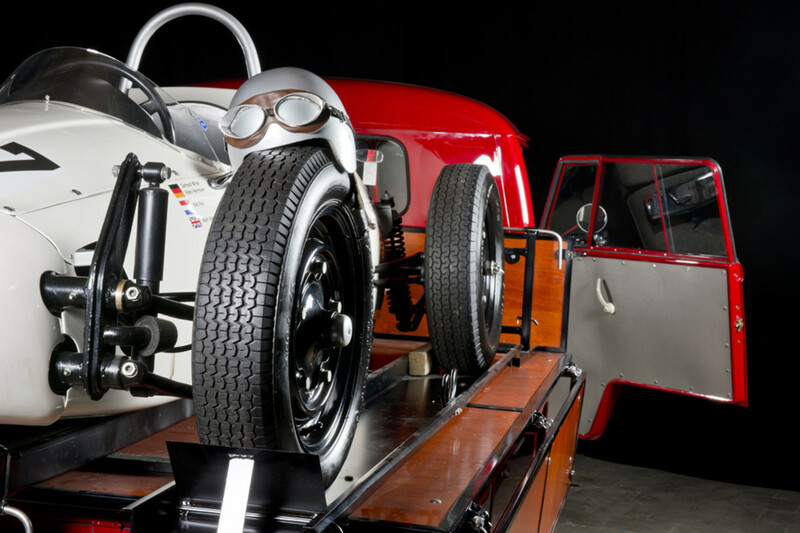 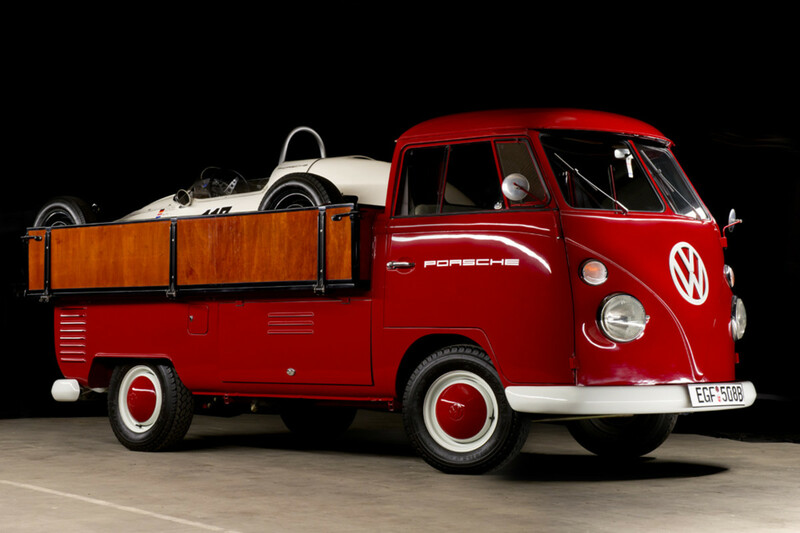 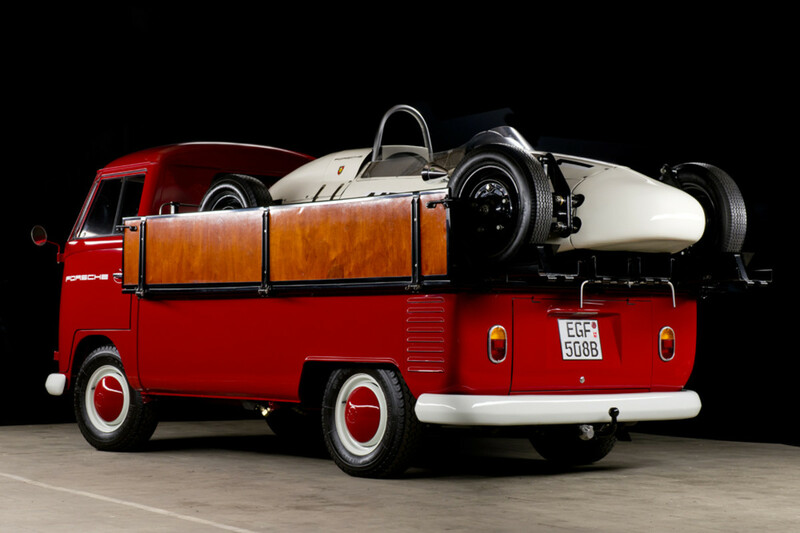 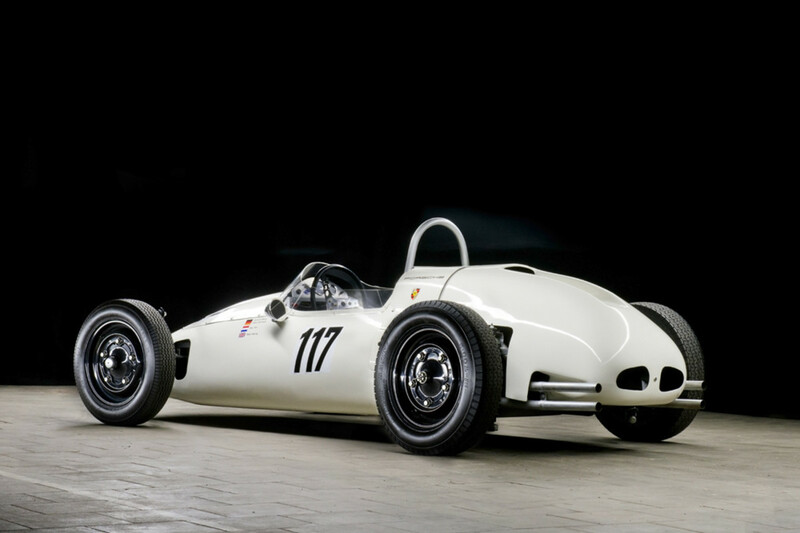 This tiny Porsche single-seat formula car sported a 1200 cc VW Bug engine with a top speed of 100mph and were taken to the track by VW Bulli pick-up trucks that were adjusted to perfectly and easily carry the Formula V ride in its loading space. 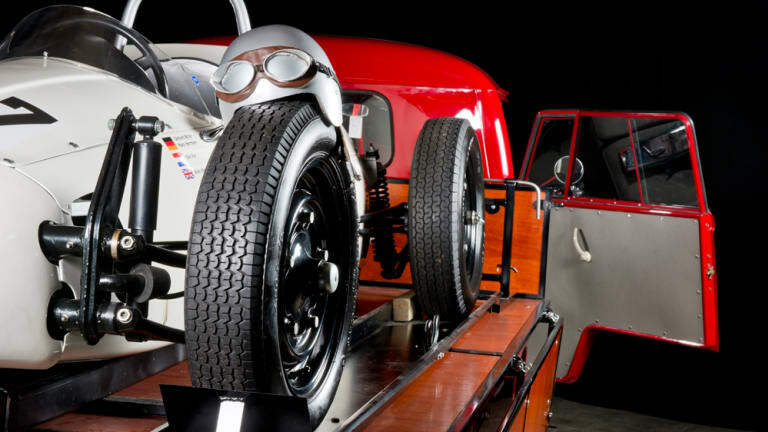 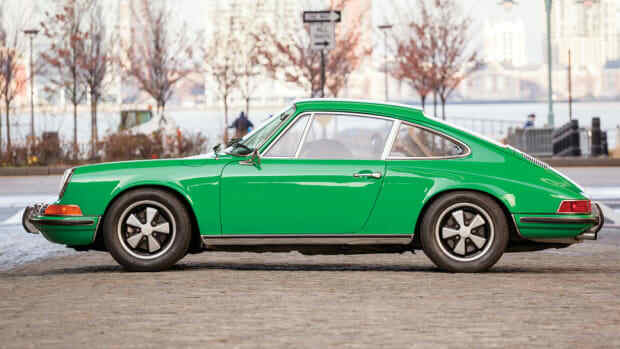 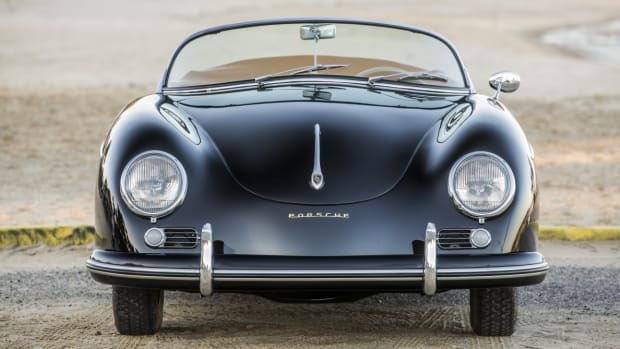 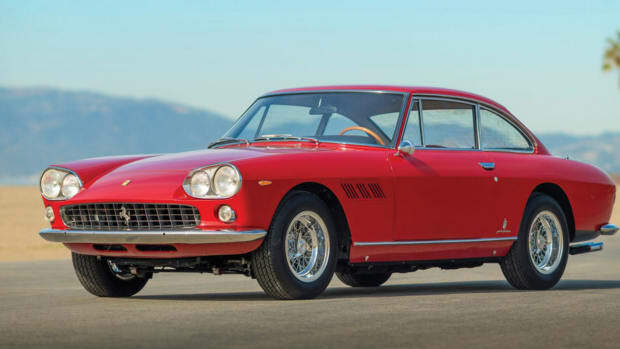 The end result is one of the most beautiful and cool 1-2 punches in automotive history. 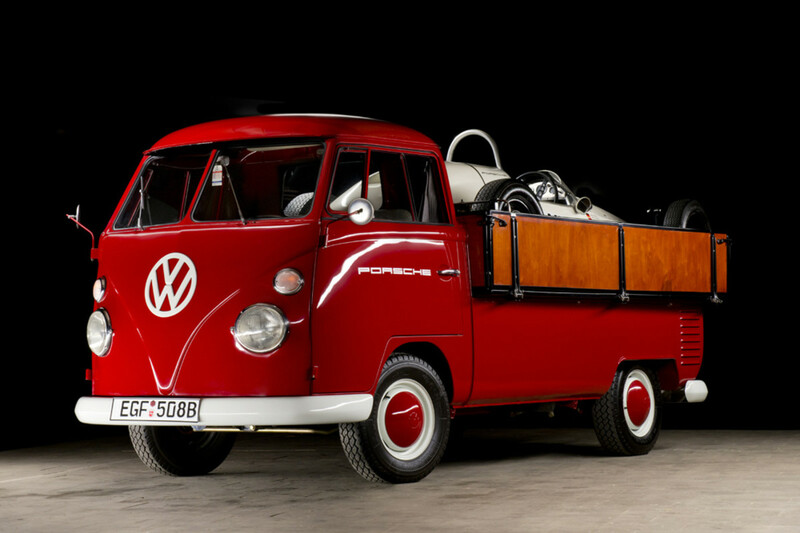 Although the Porsche shown here is 100% real, the VW Bulli has been completely restored and retrofitted to match the original Porsche carrying specs down to the last detail, as all the original VW Bulli/Porsche trucks have either been destroyed or rusted away. 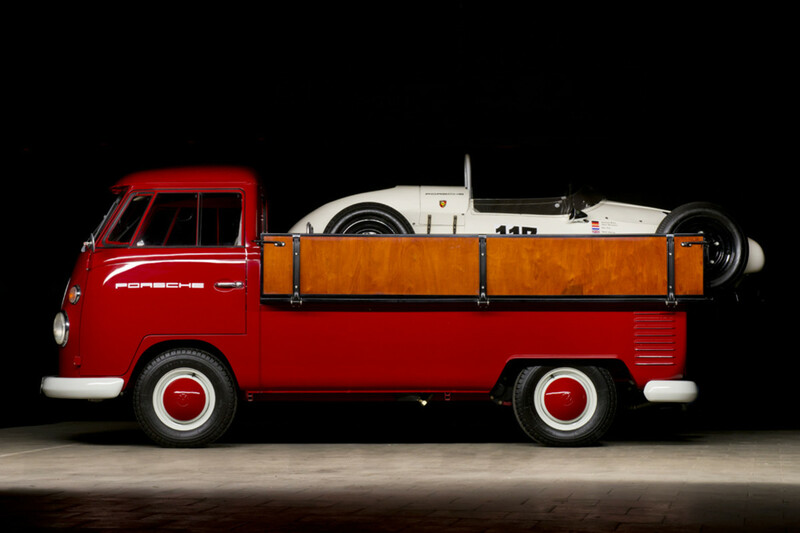 All in all--a pretty amazing look and a fine job by the team at Jan B. Lühn.